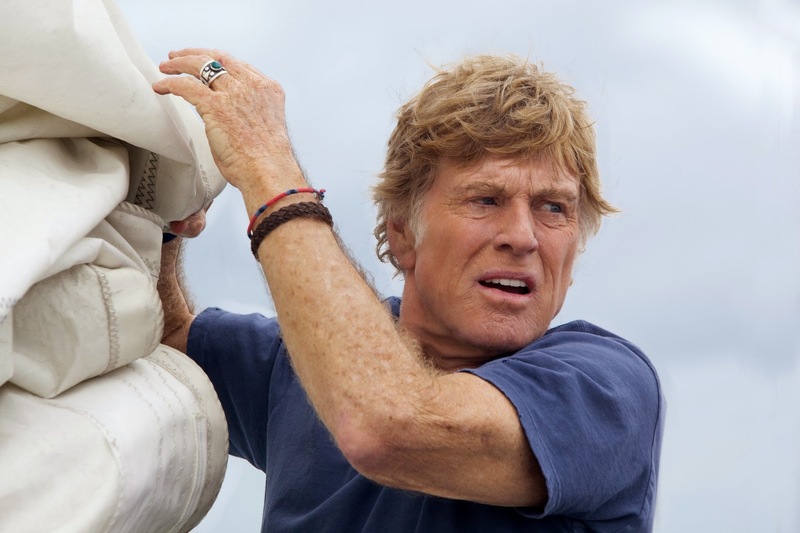 Robert Redford gives an understated but astonishing performance in All is Lost, a new spin on the hoary old survival at sea tale. Not only is his role near wordless, we discover hardly anything about Redford’s character – not his name, occupation, family background or why he is floating about in a yacht in the middle of the Indian Ocean. But we don’t need to. The fact that he is obviously rich enough to be in his own yacht halfway around the globe tells us he is at least fairly well-to-do, and also a bit of an adventurer. Secondly, because he is alone, coupled with his voiceover reading a letter of apology to what we assume is his family during the opening shot indicates he was almost certainly a failure as a husband and/or father. Writer/director JC Chandor really brings the film to life with his deliberate pacing. Events unfold slowly but grippingly, with many telling details which depict the yachtsman’s considerable skill in his struggle to remain afloat and alive following a collision with a container. In less assured hands, the escalating problems might have felt implausible or clichéd – breached hulls, flooding decks, broken radios, storms, sharks, lack of freshwater and so on. But Redford’s committed performance, the pared down narrative and unflinching realism all combine to overcome such potential issues to gel into a fully convincing whole. Furthermore, Chandor uses the crucible of the sea as a metaphor for coming to terms with mortality. The ocean has often symbolised death in stories, and here with Redford buffeted by one catastrophe after another even his exemplary seamanship appears unable to save him. Perhaps Chandor is suggesting that with all our skills, advances and expertise, death will get us in the end. Such a bleak, existential reading of the film is not the only interpretation however. SPOILER WARNING. The ambiguous finale can be seen either as a straightforward rescue or – from a Judeo-Christian perspective – as a metaphor for salvation following a metaphorical leap of faith, thus bringing redemption to Redford’s character in spite of his apparent failings in life. Or, if you don’t want to think about it too hard, this is simply a really satisfying, stripped-down man against the elements adventure. Think a kind of lo-fi alternative to Gravity, with which it would make an excellent double bill. All is Lost might not be to all tastes, but it is a very good piece of cinema. Expect an Oscar nomination for Redford.